The Fisherman’s Wharf: a place for festivals, parties and marine lifestyle. 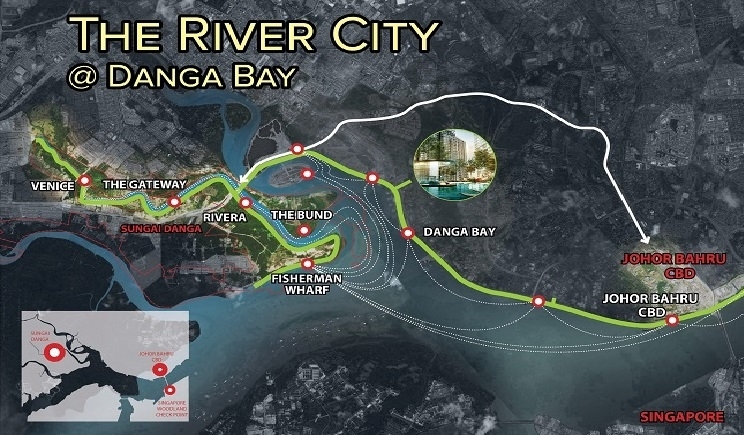 The River City plan will be the second most-expensive clean-up of a waterway river after the Malaysian government’s RM4 billion multi-year project to clean up the meandering Klang River in Kuala Lumpur and Selangor. This entry was posted in Iskandar Information and tagged Danga Bay, Iskandar Malaysia, River City. Bookmark the permalink.